If you receive this message, you may need to update your saved link or bookmark to the application you're trying to access. Use the primary application link to log in. You can find most links on apps.uillinois.edu or obfs.uillinois.edu. We recommend that you update your bookmarks or saved links to any application that causes this message to display. 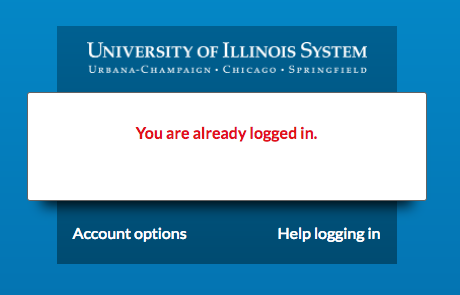 For more valid entry point URLs, visit apps.uillinois.edu or obfs.uillinois.edu.